At Midnight Sun Home Care, we strive to honor and celebrate independence, individuality, and life experience while providing the kind of in home care for seniors Matanuska-Susitna AK families need in order to maintain the lifestyles they want. 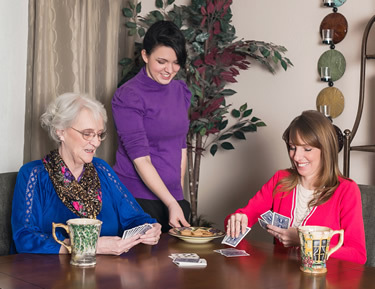 We take the time to actively listen to and get to know each one of our clients and their loved ones so that we can create a comprehensive care plan that meets each person’s unique needs, as well as build the strong, lasting relationships that make our care more effective and meaningful. Have a loved one in need of in home care for seniors Matanuska-Susitna AK families recommend most? Contact the professional senior care team at Midnight Sun Home Care today to find out how we can help your loved one live a safer, happier life at their home in Anchorage, Eagle River, Chugiak, Peter’s Creek, and the Mat-Su Valley. To learn more about all of the areas we serve in Alaska, visit our Service Area page.